He's taken out the earring and the blue hair is long gone, but don't call Dorsey corporate. "I'm still a punk," Dorsey insists. "What was amazing to me about the punk scene, which is why I got into it, is because there was this confidence of 'I'm not going to go off, be shy about learning how to be a musician.'" The St. Louis native used to play music on the streets every so often. He says he'd like to get back to it. Dorsey, a serial entrepreneur, cites similarities between punk music and emerging technology. His example: a band could go from being awful their first time on stage to becoming superstars like The Ramones in a short period of time. Dorsey says the same thing can happen with coders. "People would write code and it was terrible, and they would write it again and it was terrible, and a year from then it was Linux, and now it's running the majority of every system out there today." Related: Square's new cash advance: Don't call it a loan! Constantly tinkering and rebuilding is a theme in Dorsey's life. 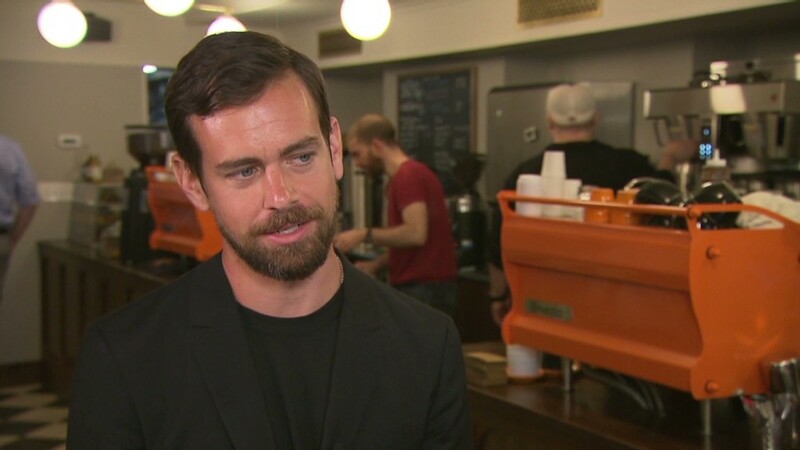 He has shifted his focus from connecting the world through social networking site Twitter to empowering small businesses through Square. In both cases, the journey hasn't been easy and there have been plenty of naysayers. How does he deal with the pressure? Dorsey begins his day with a five mile walk to work. He leaves at 7 am, and it takes him an hour and a half to get to the office. In that time, Dorsey ditches email and texts. He listens to music and audio books and tries to take a new route every day so he can find inspiration on the streets of San Francisco. Each day, he tries to deviate from routine. "It's a very clearing time," he told CNNMoney. "I want to put as much unexpected potential in front of me because I think something that you don't plan will always make you think differently." Dorsey (now 37) is older and more polished than he was in his dyed hair days. But he insists he'll never lose the scrappy mentality required to take an idea and transform it into a company. He said he still has the same fight in him today as he did when he was first starting Twitter. "The biggest thing is to really put yourself out there in a confident way and learn as quickly as possible ... that's what I took from punk, and that's why I'll never stop being a punk. " By the way, he still has the tattoo.